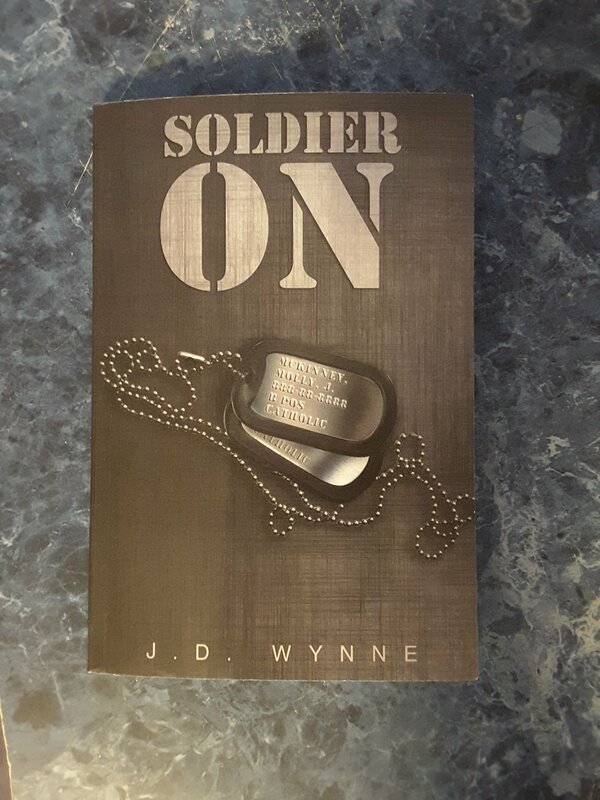 🌟🌟🌟🌟Soldier On by JD Wynne. I received the advance readers copy of Soldier On from the author in exchange for a review. All opinions are my own. This novel is a quick read. It does take a few chapters to capture interest, but the writing is beautiful and thoughtful. Molly McKinley dreams of being a doctor but in order to finance her education she needs help. She enlists in the Army Reserves with her mother’s permission at 17. Shortly after boot camp 9/11 attacks happen and she is deployed to Afghanistan for a year. She quickly develops a crush on a cute guy in her company only to find out he is married. Later she develops another crush on a different soldier only to find out he likes another girl. After two very tragic events Molly questions her faith, her love or lack of, and her own sanity. Will this deployment make her or break her? Review posted on Instagram @jasonnstacie, Goodreads/StacieBoren, and Library Thing.